Your home is your sacred place. However it is all too easy to let your home be a place which doesn’t reflect you. It is easy to accumulate clutter, or to be too focused on possessions which don’t enhance your magical life. Here I will give you 10 ideas on how to make your home more magickal. Essential oils can evoke strong feelings. They can change your mood or bring back distant memories. They have been used by Wiccans and other Pagan religions for years. To use scents in your home you can burn incense, candles, or use an oil burner. Incense is inexpensive to buy. Candles can provide natural light which is calming. 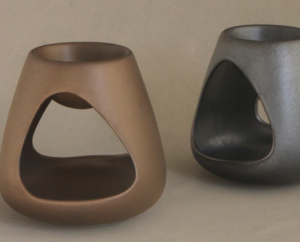 Oil burners release natural oils into the air. Lavender: for balancing and relaxation. Rosemary: for concentration or to assist the memory. Jasmine: for relaxation, helping with stress and to being about prophetic dreams. Sage: for wisdom and protection. Experiment with incense, candles and oil burners and see which you enjoy using, and what scents, in your home. Colours can have a powerful affect on your mood. How you use colour, and where, in your home can affect how you feel. Fire colours such as red, orange and yellow are best in active areas of your home such an office or home gym. Bedrooms and living rooms suit more calming colours such as blues. Greens are connected with prosperity, nature and earth so works well in offices, conservatories and kichens. Remember that although certain colours suit different parts of the house, you have to like them as well. Don’t choose a colour you don’t like just because of what it means, it will only create bad energy if you do. Displaying art works on your walls will help to make your house feel like a home. 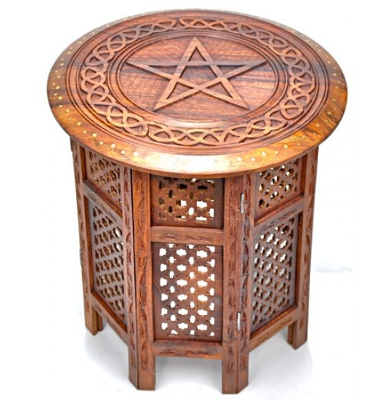 Look on websites such as folksy and etsy to find people selling their own art which has a Wiccan, Pagan or spiritual connection. 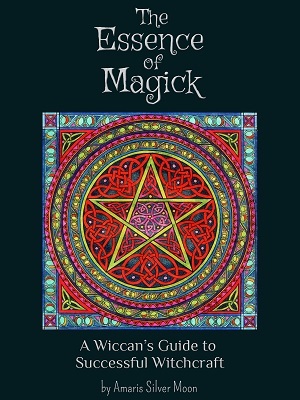 You could also look at local wicca groups or magick shops to discover original art by local artists. Another idea is to make your own art. You could join a course, or just experiment. It will mean more knowing that you made it. 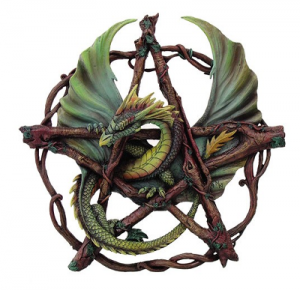 You could make your own sigil magick to display in your home. Your altar is your own sacred space to pray, worship, and cast spells. Find a quiet area of your home and place a table in it. You could use a mantlepiece, or if you have no room get a sturdy box and make it a portable altar you can get out whenever you need it. See 10 Ideas for your Wiccan Altar for more ideas. 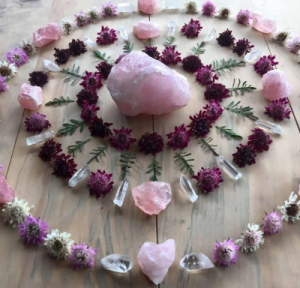 A crystal grid is a way of displaying crystals in a certain sacred geometric shape. An arrangement of crystals can have a much more powerful affect then an individual one. They can be used to help you manifest your intentions, dreams and goals. You can have different grids in different ares of your home. For example a prosperity grid in your office, or a love grid in your bedroom. To make one you need a selection of crystals, a piece of paper with your intention written on it, and a design for the layout of your grid. You can even buy a grid layout so you know how to display them. 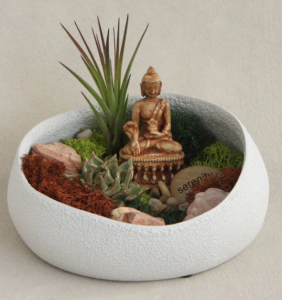 Feng Shui is a Chinese philosophical system of placing objects in a way that will spiritually enrich your life. Feng Shui and Wicca, though very different, are both earth-centred and based on the elements. Feng Shui can transform your home into a wonderful place to live. Your house is seen not just as a pile of bricks which holds your belongings, but as a living entity which can be used to attract what we want in life. When you work on a spell and call on certain elements, you have already worked them into your home. 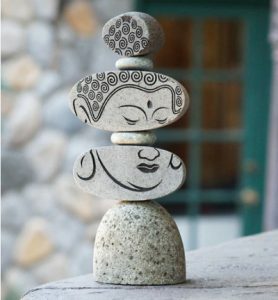 Simple ways of incorporating Feng Shui into your Wiccan home is to clear your clutter, and get rid of what you don’t need. Give your home a good tidy and clean. Donate what you can to charity. For more information read The Magick of Feng Shui. Herbalism (also known as herbology or botanical medicine) is the practice of using plants for medicinal or therapeutic use. Herbs can be used in many different ways including; teas, tinctures, ointments or in a herbal bath, to name but a few. 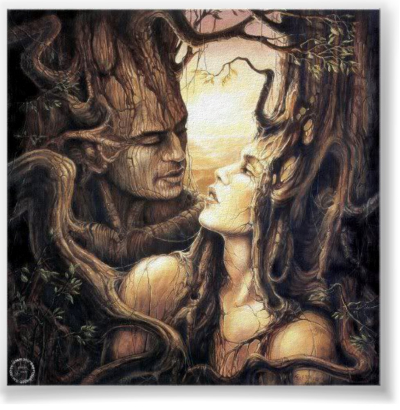 Wiccans can use herbs not just for their medicinal properties, but for their magickal use, because herbs hold the Earth’s energy in them. This energy can be drawn upon when herbs are used in spells. Why not dedicate part of your garden to grow herbs? If you don’t have a garden you can use a sunny windowsill. Lavender: for balancing spells, and for placing under you pillow for aiding in sleep and dreams. See here for an interview with a herbalist, Nikki Tomlinson. Try your hand at making items for your home. They also make a thoughtful and personal gift. 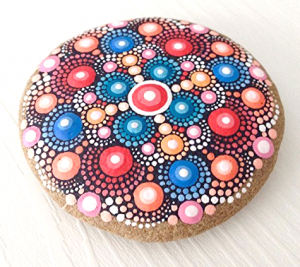 Painted rocks- Decorate rocks with pictures, symbols, spells or sigils. You can paint them or use sharpies. Talisman- Make a talisman to wear around your neck. Try seasonal crafts which are connected with the sabbats such as Mabon or Yule wreaths or an Ostara egg Charm. A talisman is an object which has been inscribed to have magickal powers and bring good luck. 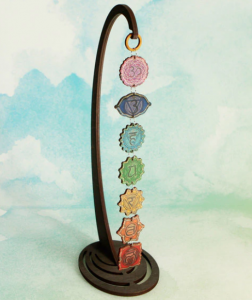 A home protection talisman will keep your home physically and astrally safe. Read a Nine- Herb Home Protection Talisman for how to make one. A house protection spell will help to keep out spirits and negativity. If you have had toxic people on your life that you have got rid of, a house protection spell will help you make the house feel yours again. See A House Protection Spell for a simple protection spell you can do to make your home feel like yours again. I hope you find these tips useful, and they inspire you to make your home more magickal.